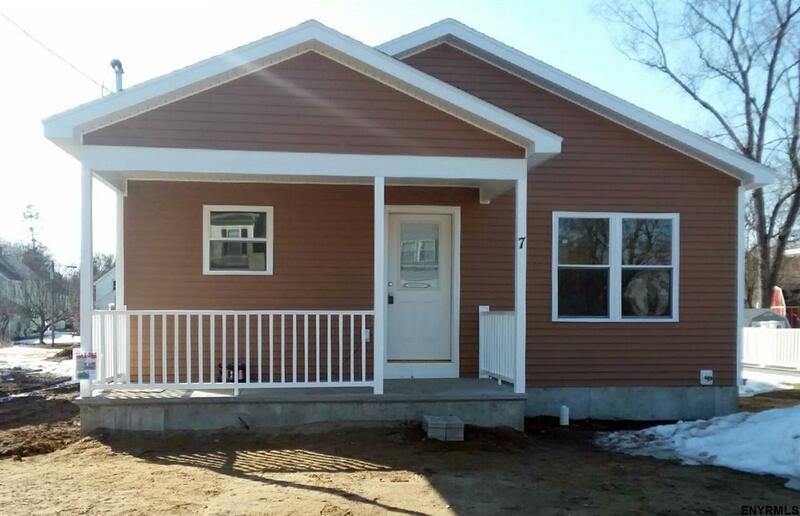 BRAND NEW open concept, one story living ranch with all the popular features incl 2 BR / 2 BA, full front porch, hardwood flooring, ceramic tile in both bathrooms, first floor laundry, full basement with egress window, master suite with large en suite bath, walk-in closet and bonus private 10x10 deck. Central Air, Natural Gas, Sewers. All set on a deep lot with large back yard. Modern, maintenance free vinyl exterior. 100% USDA Financing Avail. to Qualified Buyer.